LIVINGSTON, N.J.--(BUSINESS WIRE)--ETS (Energy Technology Savings), the energy technology, behavior management and smart building service provider, today announced a priced offering of $3 million of its Series C-1 Preferred Stock and milestones for its Smart Building AI Platform (“SmartKit AI™”), an integrated mobile software suite for building operations and energy management. As part of the $3 million offering, the company has already raised $1.8 million from existing investors and is looking to new strategic partners to complete the funding round over the next six months. ETS will use the funds for continued development of its artificial intelligence (AI) software and geographic expansion, with a particular focus on the West Coast. The offering is priced at a pre-money valuation of the company at $44 million and comes at a time of rapid growth for ETS: the company has doubled its SmartKit AI contracts over the last 12 months. ETS customers have brought the platform to 186 buildings across the Northeast and the West Coast. Current SmartKit AI users represent approximately 60 million square feet of commercial and multifamily residential buildings and 50 megawatts (MW) of electric load. SmartKit AI’s mobile software suite provides real-time data transparency, monitoring, predictive analytics and digital management tools that reduce energy and operating costs by 10 to 20 percent. 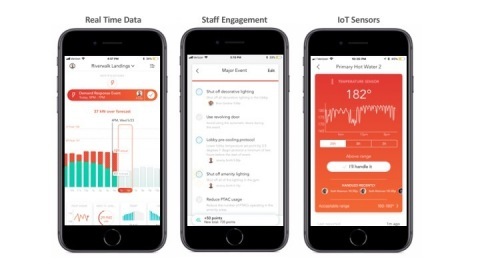 SmartKit AI’s innovative technology optimizes performance of building systems; generates revenue from onsite assets, including heating, ventilation, and air conditioning (HVAC) systems and other distributed energy resources; and links energy saving actions to efficiency goals and rewards. Supported by ETS’ Concierge Service team, ETS’ deep archival data library and predictive analytics, SmartKit AI acts as a versatile tool for digital building management, empowering staff with insights to streamline operations while improving tenant comfort and achieving sustainability goals. “We believe that making buildings smarter is a logical way to go about reducing operations costs; our company’s rapid growth and the expanding user base of SmartKit AI are indicators that the market agrees,” said Chief Executive Officer of ETS, Jeff Hendler. “We create operational transparency and intuitive technology to empower users – from building owners to facilities’ team members – to capture savings and generate revenue. The new offering and recent SmartKit AI growth metrics show that now is the right time to scale up and expand our presence." Since the launch of the new software offering, clients that expanded their relationship with ETS include Roseland Residential Trust and AvalonBay Communities while Pan Am, Moinian Group and Manhattan Mini Storage signed new SmartKit AI Platform Services contracts. SmartKit AI also works with utilities to solve technical challenges and support more efficient monitoring and planning while cutting costs for customers. The product builds upon ETS’ collaborations with utilities, grid operators and government agencies, which include the company’s roles as a demand response aggregator and NYSERDA Real Time Energy Management vendor. ETS is an energy technology, behavior management and smart building services provider. Integration of our products and services in large multi-family and mixed-use properties materially reduces energy expenditures, enables Wi-Fi connectivity, improves building operations and increases Net Operating Income and Net Asset Value. For more information, visit www.etsemerald.com.